Program helps those hit by spiking flood insurance premiums that could force some out of their homes. 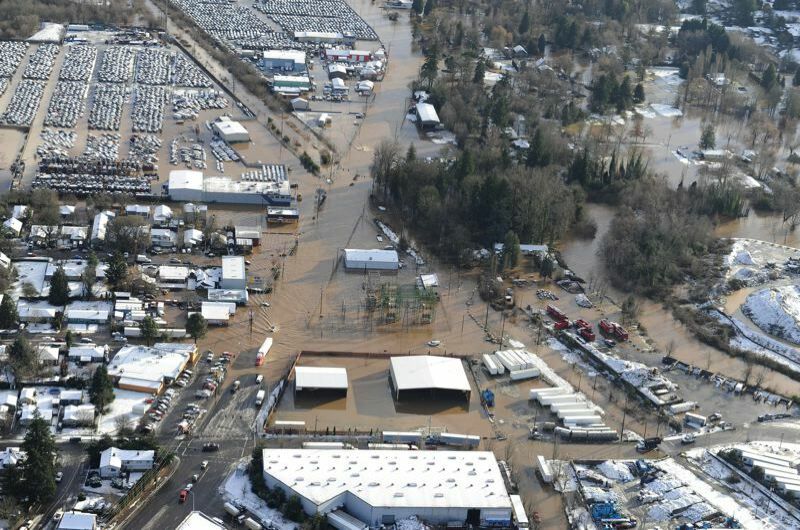 The city of Portland is expanding its pilot program to help homeowners in the Johnson Creek floodplain cope with skyrocketing flood insurance premiums. With an additional $100,000 from the city general fund, 50 more households in East Portland's Lents and Powellhurst-Gilbert neighborhoods will get assistance under the Flood Insurance Savings Program, said Jacob Sherman, housing program coordinator for the Portland Housing Bureau. Due to changing federal policies imposed by Congress since hurricanes Katrina and Sandy, flood insurance premiums are rising up to 18 percent a year, causing a hardship for homeowners of modest means in Lents and Powellhurst-Gilbert. 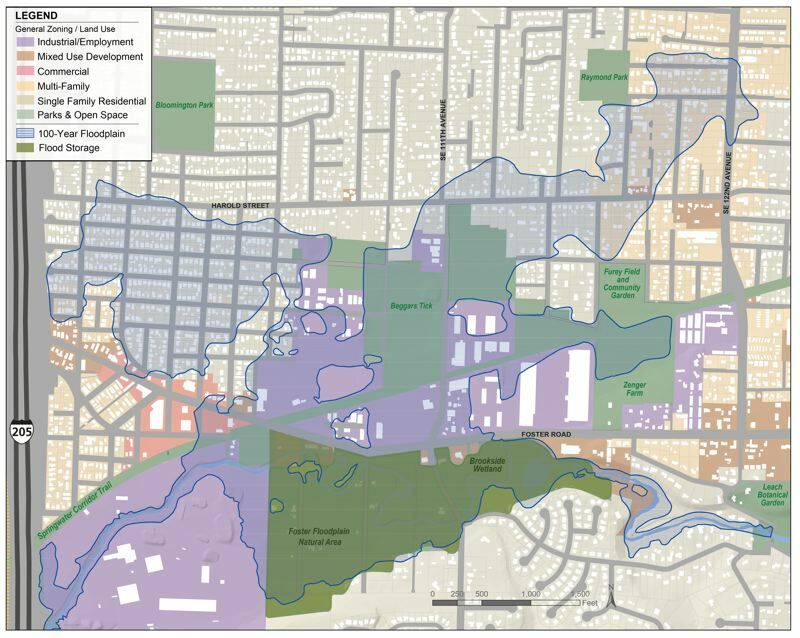 There are approximately 800 homes that could be submerged during a major Johnson Creek flood, about 630 of them owner-occupied. The cash infusion comes after a successful pilot project launched last spring by Enhabit, a nonprofit commissioned by the housing bureau to help operate the program. In the pilot program and in the extension, residents are offered three services: home assessments, elevation certificates and consultations with insurance agents. Surveyors provided homeowners with certificates showing the exact elevation of their homes, which determines the extent they are vulnerable during a 1 percent flood. Formerly called 100-year floods because they were projected to come only once per century, they have a 1 percent chance of occurring in any given year. In six cases, the flood certificates provided evidence the homes were above the 1 percent flood level and didn't need such expensive flood insurance, Sherman said. The assessments help homeowners understand the specific flood risks to their homes. For those with flood insurance, Enhabit provides an evaluation of their current premium to ensure residents are paying a fair rate. For those without flood insurance, the program offers an opportunity to obtain coverage at an affordable rate. Low and moderate-income homeowners may qualify for this service at no cost. By bundling the three services, the pilot program served 33 households. Though some didn't wind up getting lower flood insurance premiums, the average savings for those households amounted to $744 a year, or $22,300 over a 30-year period, Sherman said. Tracie Badiang scored the biggest savings, cutting $5,800 a year off her flood insurance, getting it down to just over $1,000 a year. "The Flood Insurance Savings program helped me save money, which made my mortgage payment affordable again, and helped me navigate the very complex and convoluted bureaucracy around flood insurance," Badiang said. The city spent roughly $45,000 for the pilot project, Sherman said, but couldn't serve all the 90-plus homeowners who applied. "So we know there's demand and we were able to deliver some pretty strong results," he said. To learn more about the program and apply during this second round of funding, go online to www.enhabit.org/flood or call Enhabit's Floodplain Hotline at 971-544-8715. The deadline to apply is March 5.